We are back with another update on the ELD regulation; this topic is once again creating a lot of chatter in the industry with the recent news of a Bill to Senate that was introduced in July, to attempt to delay the ruling. Read on for more current details & updates to the regulation, violation information, and some key devices that we have been researching. Below is a review of the standing ELD compliance dates, exceptions, myths and updates to the Mandate. Effective date:February 16, 2016 – this is the date 60 days after the rule’s publication in the Federal Register. This is also known as Phase 1: the awareness and transition phase. Compliance date: December 18, 2017 – this is two years from the publication date. This is also known as Phase 2: the phased-in compliance phase. During this phase, commercial truck and motor coach drivers operating in the US must have either an ELD or an Automatic On-board Recording Device for their vehicles or risk being placed out of service. 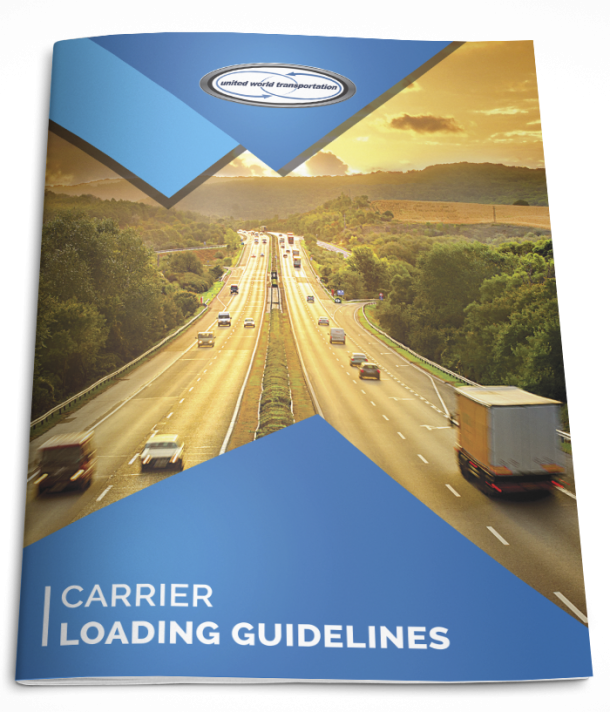 This phase consists of a two-year period in which drivers must track hours of service using either an ELD self-certified by the manufacturer and registered with the US Federal Motor Carrier Administration or an AOBRD installed prior to the Full compliance deadline. “Grandfather Clause” Extension date: December 16, 2019 – for any vehicles already equipped with an Automatic On-Board Recording Device (AOBRD). Drivers who use paper “records of duty status” (RODS), for not more than 8 days out of every 30-day period. Drivers who conduct drive-away and tow-away operations, where the vehicle being driven is the commodity being delivered. Data from devices is available to anyone. This is not true; the device captures data, but does not transmit (data shared only on command by the user, and when requested by head office or DOT officials). Freight visibility (truck tracking) can be done without authorization. This is also not true; only fleet managers who are connected can see vehicles. Outsiders would need the driver to grant access. The fleet manager owns the log books. This is also not true. The driver owns the logbook and certifies it. Last month, 2 bills were proposed in Senate. The first was to request that cattle haulers be excluded from ELDs. The second bill attempts to affect the entire commercial motor carrier population, as it aims to extend the ELD compliance date for Phase 2 by two years, to December 2019. This proposed bill, called the “ELD Extension Act of 2017” would delay the ELD compliance deadline until December 2019, to give small businesses and owner-operators more time to comply. Experts note that the probability of these bills passing Senate is less then 4%. There are several hoops the Bill must jump through successfully before it reaches the President for consideration. In addition, given existing requirements and per the FMCSA, any driver operating a commercial motor vehicle in the US from December 18, 2017 onward will be placed out of service if the vehicle does not have an ELD or an AOBRD. And, as is the case with other violations, will not be able to drive it anywhere until the driver or carrier has corrected the problem. Lastly, Senate is now in summer recess, and did not confirm or announce any action to delay the implementation date. So, relying on this possibility might be a thought carrier’s mind; however, as this delay is unlikely, it’s best to continue and comply as soon as possible. Especially with the possibility of device stock outs come November/December. There is a feared ELD shortage for that time, especially as most manufacture overseas (hardware may take time; vendors may not have stock), so it is important for carriers to get their ELD devices as soon as possible. As we stated in our last update, the FMCSA has not verified any device, as regulation could still be edited/modified. Reviews, new laws and even lawsuits would be the reason behind any edits. Furthermore, it is expected that the Canadian ELD requirements will mirror that of the USA ELD Mandate. While no official regulation is out yet, it will likely be finalized after the USA ruling is complete/final. Beginning December 18, 2017, if a driver/carrier is using an electronic logging device that is not self-registered with the FMCSA per 395.22(a), the driver/carrier is considered to have no record of duty status. Beginning December 18, 2017, if a driver is unable to produce or transfer the data from an automatic on-board recording device or electronic logging device to an authorized safety official as required by 395. 15(b) or 395.24(d), the driver is considered to have no record of duty status. Beginning December 18, 2017, if a driver indicates use of a special driving category as defined by 395.28(a) when not involved in that activity, the driver’s log is false. Beginning December 18, 2017, if a driver with a malfunctioning automatic on-board recording device or electronic logging device fails to reconstruct logs for the current twenty-four (24)-hour period and the previous seven (7) days as required by 395. 15(f) or 395.34(a)(2), the driver is considered to not have the previous seven (7) day of logs. Beginning December 18, 2017, if a carrier does not repair a malfunctioning electronic logging device within eight (8) days, or obtain an extension from the Federal Motor Carrier Safety Administration Division Administrator as required by 395.34(d), the driver is considered to have no record of duty status. Beginning December 18, 2017, if a driver does not log into the electronic logging device as required (see 395.22(e)), the driver is considered to have no record of duty status. Beginning December 18, 2017, if a driver is required to have an electronic logging device and the vehicle is not equipped with an electronic logging device (or automatic on-board recording device until December 17, 2019), the driver is considered to have no record of duty status. In summary, the most important points her are for ELDs to be compliant with FMCSA requirements and for drivers to be able to transfer data from an ELD or AOBRD to the inspecting officer on request. As noted above, there is a feared ELD shortage, especially as most manufacture overseas (hardware may take time; vendors may not have stock), so it is important for carriers to get their ELD devices as soon as possible and not face stock outs in November and December when compliance is mere weeks away. Define what is best for your company in terms of your fleet size and the type of device you’d prefer. For example, do you want a plug and play device and use your smart-phone, or a “full hardware” device? Determine what is best for your cashflow and your billing preference. Most ELD devices range in price for purchase, and have a monthly service plan that you will be responsible for. Consider the many options out there: is the vendor self-registered with FMCSA? Does the device meet FMCSA requirements? Do they offer 24/7 365-day support? What about replacement for faulty devices? Does it require self- or professional installation? Be cautious: many self-registered vendors are start-ups. There is no guarantee that they meet all requirements, or that they would be able to meet a huge demand come November/December (most manufacture overseas). For example, some companies on the initial ELD provider list are no longer in business. Full hardware ELDs range from $165 – $832, with the most popular being about $495/truck. This would not include installation and maintenance costs. Plug and Play devices that use your smart phone are less expensive, with a start up cost ranging from $75 – $300 and monthly subscription costs ranging from $25 – $40. The best way to obtain the information on a specific device (its fit for your business, costs, etc.) is to contact the Sales representatives from the companies list on the FMCSA self-certified list. Perhaps as more news and word-of-mouth spreads on devices that actual companies are using will help drivers narrow it down as to which specific companies to contact. UWT will keep monitoring this and will publish any information on specific devices we find in the coming months. A note of caution: ELD devices listed on the FMCSA website are self-certified. As per the FMCSA, the manufacturers are run their own tests on their devices and submit the procedure and results to the FMCSA. Devices will not be tested by a third-party or the FMCSA. Only devices that are questionable will be investigated and tested by the FMCSA. Have the ability for driver to certify logs (driver must present supporting documents to back office within 13 days). Allow for configuration of “yard moves” and “personal conveyance” (must have an on/off function). Not allow for “auto-duty status”. Permit edits of the log by the carrier (“back office”) to be verified/certified by the driver. Provide a location report every hour (intermediate position reports) when vehicle in motion. Meet GPS restrictions – must be accurate no better than 1 mile (personal use any better than 10 miles). Meet requirements for diagnostics and malfunctions (must be repaired within 8 days of reported date). Provide very specific and clear reporting on additional info (on/off; events; details) for enforcement use. Display screen specifications: information on the display screen is valid for audit (“flash report”). The more info shown, the better. Provide reconciliation of every move (no gaps): unassigned vehicle moves – if not done by the driver, the carrier/owner must reconcile and report it. If left unfixed, can be attached to driver and result in violation. Our commitment remains to provide drivers with the most up to date and critical information they need to maximize their productivity while on the road. So, make sure to keep checking back in on the blog in the coming months for more ELD info.